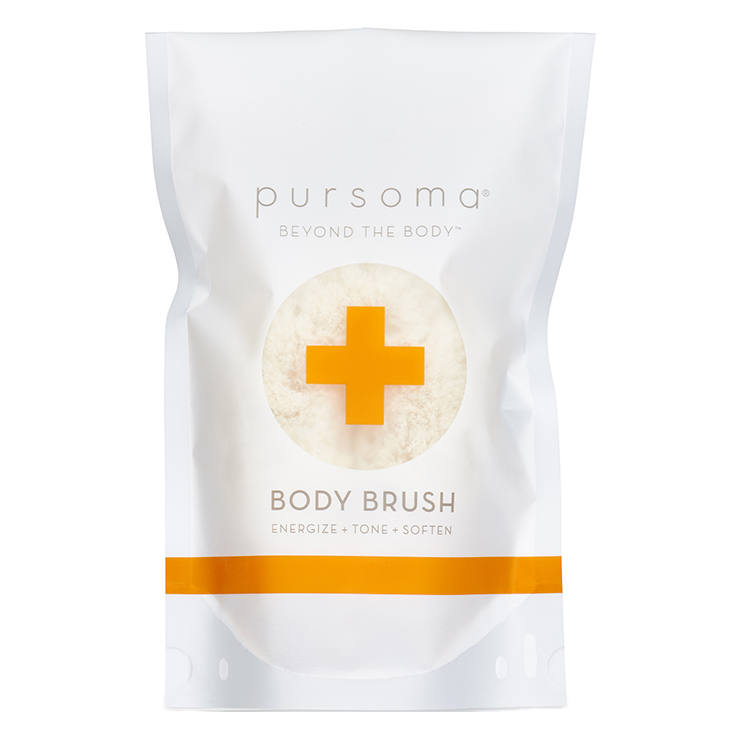 Take your soak to new levels with Pursoma Dry Brush. The ideal complement to any Pursoma bath soak, this ethically harvested jute fiber brush gently sloughs the skin and promotes a feeling of revitalization. Skin is left feeling smooth, soft, and detoxified. A fast and effective way to increase the appearance of a healthy glow. Used daily, skin will look youthful and vibrant. An essential when skin and energy levels need a boost. Beginning with feet, work the brush in circular upward motions, moving up to calves, thighs, and buttocks. Next, begin at hands and brush up arms to shoulders. Move to lower back, then abdomen, chest, and upper chest. Follow by soaking in the bath.